← Special Holiday Hours …. We always enjoy the Middle Tennessee Fiber Festival, held this past Friday and Saturday at the Dickson County Fairgrounds. The festival offers a wide variety of classes, critters and fiber-related vendor … and just a whole big bunch of nice folks! 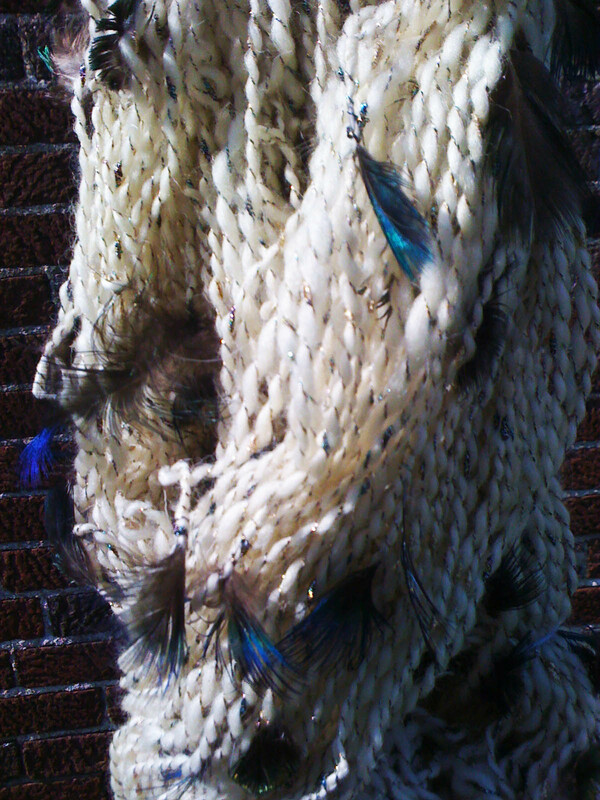 ‘Whimsical’ from TrickyKnits‘ Colorful Nest line. 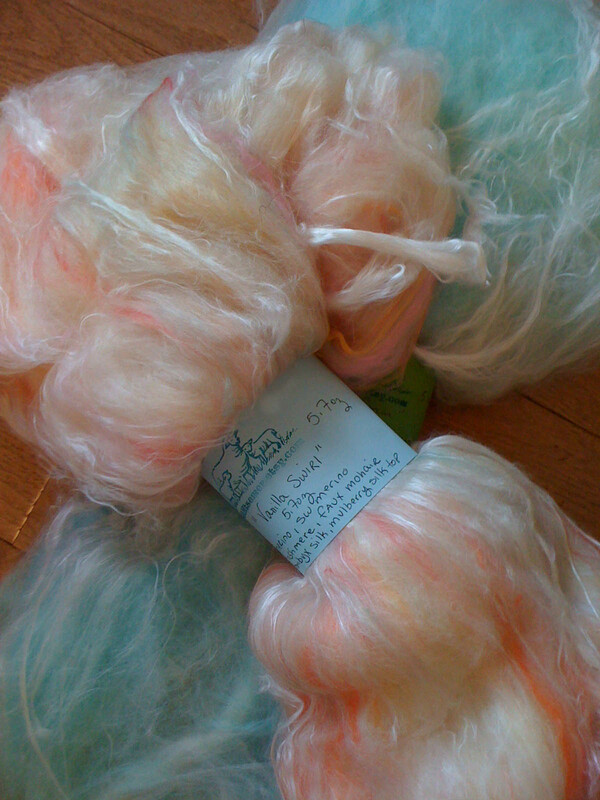 We’ve been sold out of Tricia’s yarns for a while and are so glad to be able to handpick through her stash of lovelies. And it is always a pleasure to catch up with Tricia! 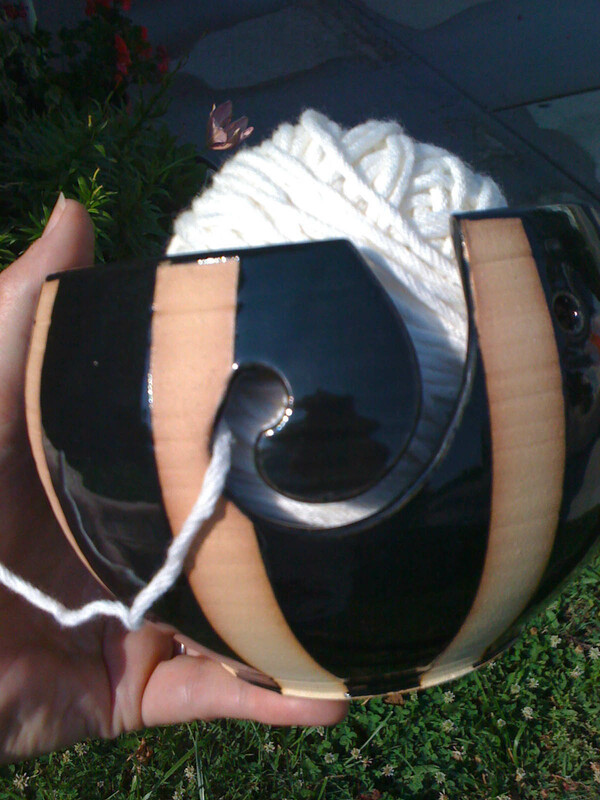 Yarn bowls from Russellville, KY ~ love having product from our neighbors in Kentucky, and thoroughly enjoyed chatting with Daniel (and a special thank you for schlepping them to the ‘slug bug’ for me)! 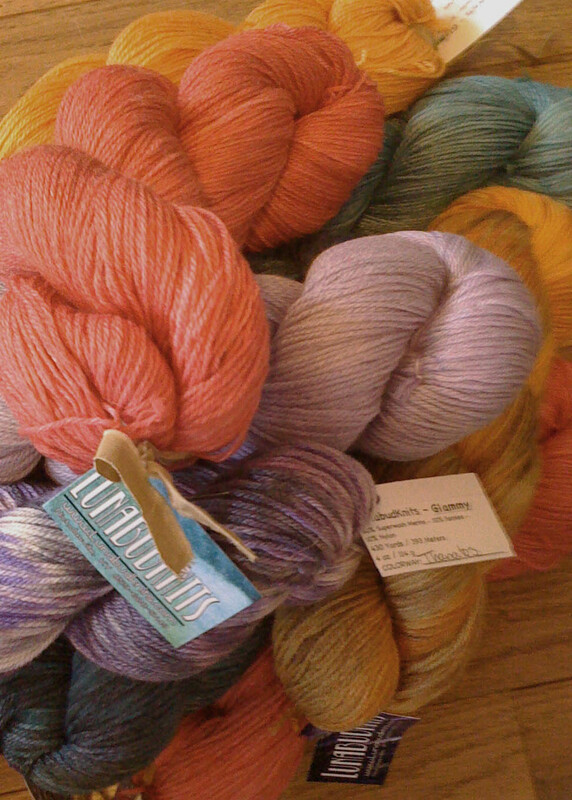 We found some lovely hand-dyed sock yarn (‘Glammy’) from LunabudKnits from Kentucky and purchased a small initial stocking order … come in and check it out! 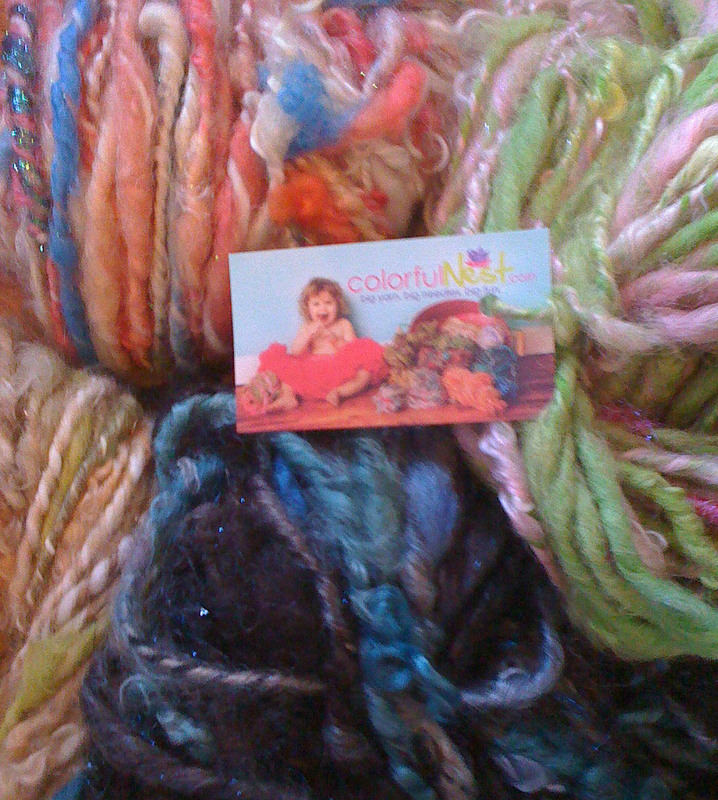 It is a soft and tonally dyed wool/bamboo/nylon blend that we think you will love … and it is local! Apparently we have aspirations of spinning (maybe while we sleep???) … we always come home with absolutely lovely rovings. 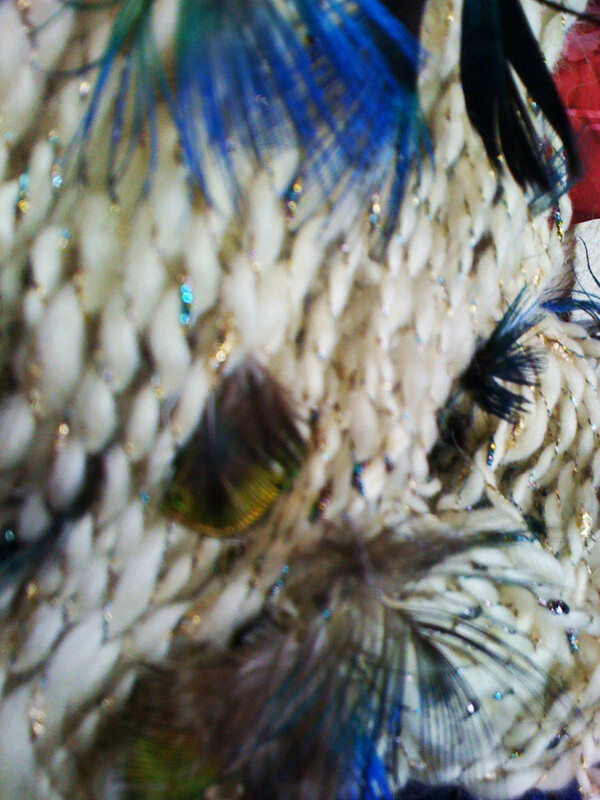 Just for fun … glamorous wool handspun with teeny-tiny peacock feathers and a bit of sparkle! 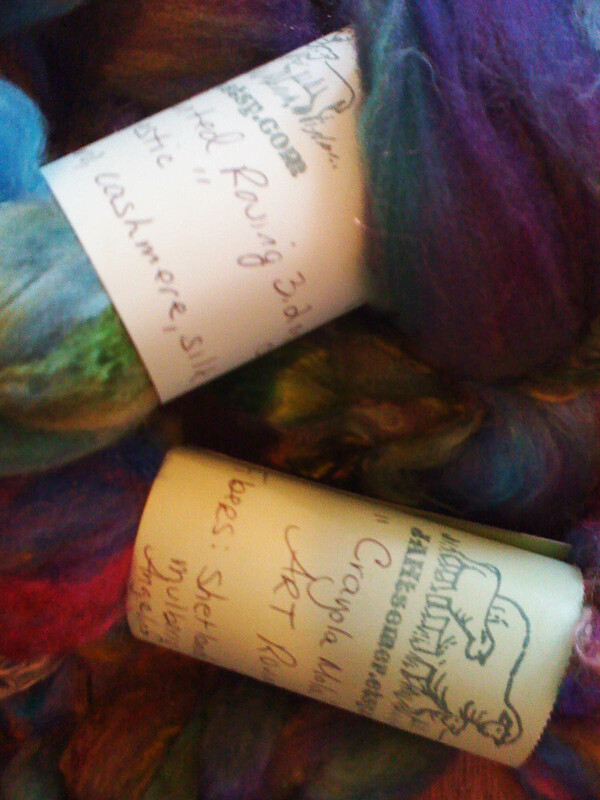 These little lovelies come from Galyna Batewell of Ethridge, TN ~ an absolutely wonderful lady to chat with! The personal interaction at Ewe and Company is why customers enjoy shopping there. First timers or experienced knitters’ questions are tackled by the ‘worker bee owner’ with needles and a smile!